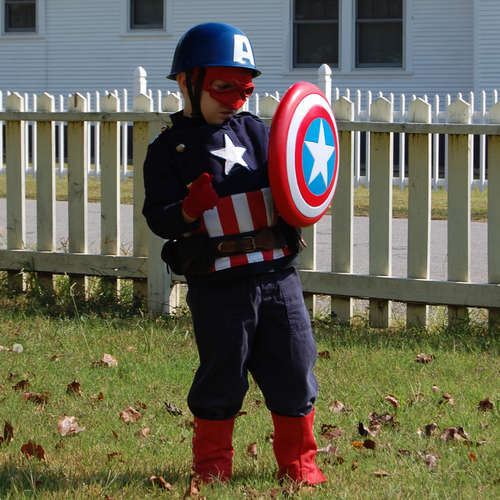 The adaptation of the Captain America comic to the silver screen is possibly going to be one of the most epic translations from one media to another since Superman in the late 70s. I mean this in the sense the Captain America by his very name embodies the 'American Identity' as much as Superman ever did - so film director Joe Johnston has a lot of pressure on him but he's had hit movies before so fingers crossed eh? Anyways, I ramble to much. 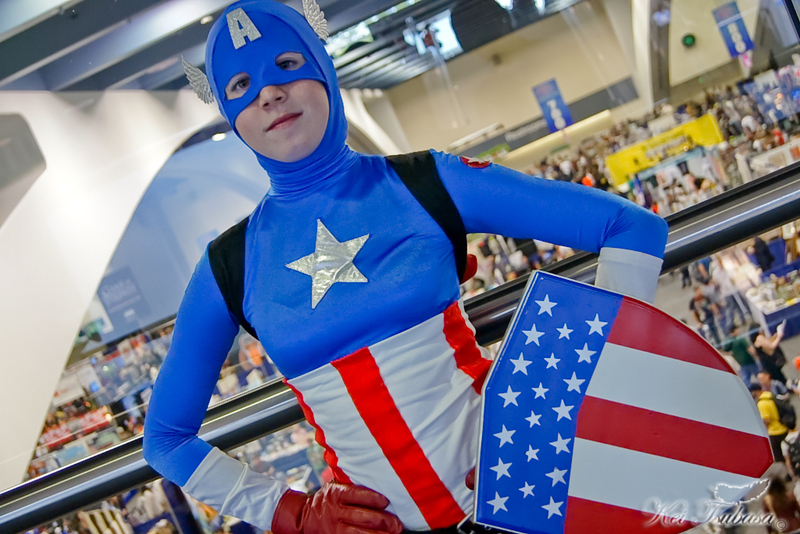 Here's some cosplay pictures of fans of the Captain dressing up as their hero. I think the one of the young kid is bloody cute! 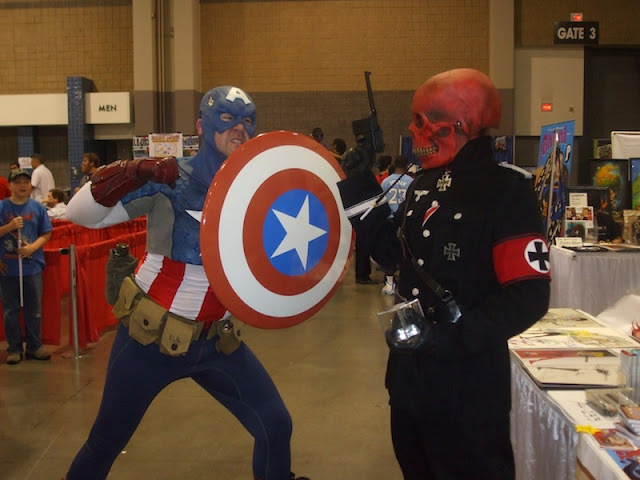 Red Skull looks pretty calm, yes? 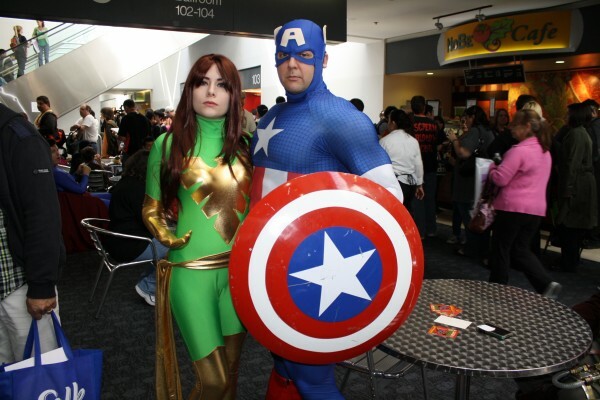 Captain America and his girlfriend , Jean Gray. 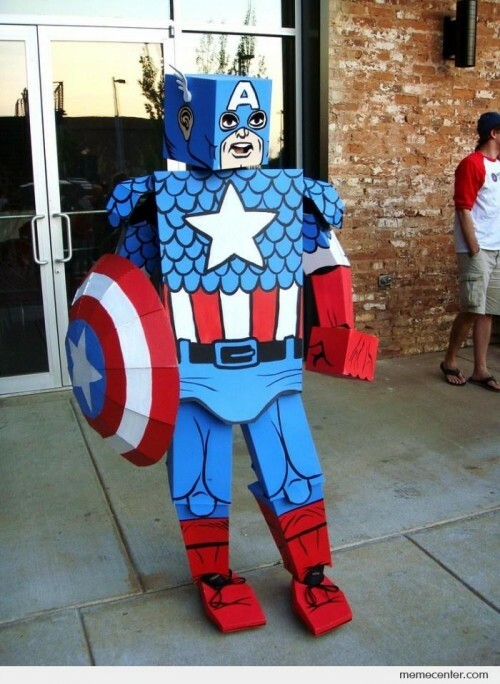 Here's a Captain America made of cardboard doing his bit for the planet. Don't confuse him with Captain Planet. 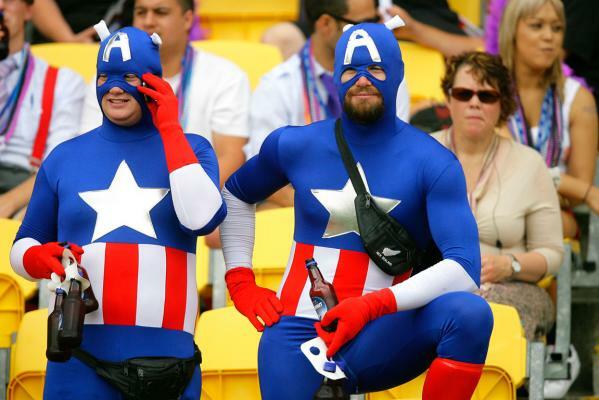 To finish off, here's a picture of two Captain Americas - these chaps were at the Wellington Sevens Rugby Tournament - it's basically a massive weekend where everyone dresses up in their favorite costumes. 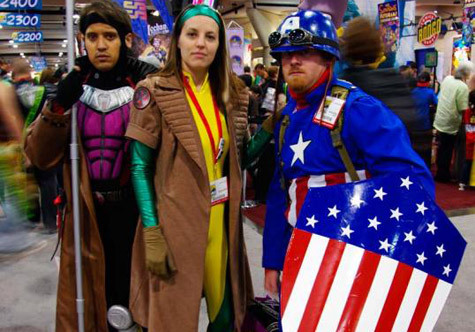 My favourite is of course these Optimus Prime costume outfits.